1. What types of diagnostic testing do you perform? An accurate diagnosis is critical because it is the basis upon which your treatment plan will be determined. For example, PET/CT scans help determine the precise location of cancer in the body to accurately plan treatment. Tumor molecular profiling identifies a tumor’s unique blueprint to choose targeted chemotherapy drugs. It’s important to have access to advanced diagnostic tests, as well as physicians who are experienced in performing them. 2. What does my diagnostic testing tell me? The information you should receive from diagnostic tests includes: where the cancer originated, the size of the tumor, the stage of cancer and whether or not it has spread to the lymph nodes or other parts of the body. 3. What treatment options are available? What do you recommend and why? Many types of cancer have a variety of treatment options available. Your doctor should be able to explain the potential benefits of each to help you understand your options, even if he or she doesn’t perform a specific treatment. 4. What happens if a treatment approach doesn’t work for me? 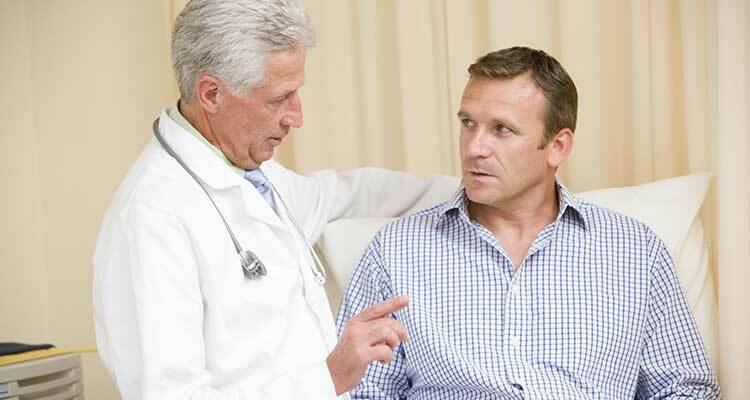 At any point, you should feel comfortable asking your doctor about the status of your treatment. When choosing a care team, you may want to consider doctors willing to try new therapies, depending on your response. Look for professionals who will tailor treatments to your specific diagnosis, and who are willing to pursue other options if your treatment isn’t progressing as expected. 5. What are the side effects of treatment, and how often do your patients experience them? No two people will have the exact same response to cancer treatment, and side effects may vary depending on what type of treatment you choose. Ask your doctor what side effects you might experience, so that you can plan ahead and choose with all of the information you need. 6. How will you help me manage side effects? Integrative therapies can help prevent or manage side effects, so you stay strong and avoid treatment interruptions. Some therapies that can support your wellness during cancer treatment include: nutrition therapy, naturopathic medicine, mind-body medicine, acupuncture, oncology rehabilitation, spiritual support and pain management. Ask your doctor if any of these are available at your hospital, and how they can be incorporated into your treatment plan. 7. How many patients have you treated with my type and stage of cancer, and how successful have you been? Ask how much experience your doctor has treating your type and stage of cancer and whether he/she is a board-certified specialist. You may also want to ask about his/her facility’s treatment results so you can see how successful they have been in treating your cancer type. 8. Who will be involved in my care, how often will they meet and who is my main point of contact? An integrated care team including a surgical, medical, and/or radiation oncologist; dietitian; naturopathic oncology provider; clinical nurse and medical advocate (often a nurse care manager) can ensure you get support for your entire well-being during treatment. If you don’t already have a team like this in place, talk to your doctor about assembling a multidisciplinary team. 9. Where will all my treatments, appointments, tests, etc., take place? When looking for a treatment facility, consider the coordination and convenience of your treatment. Having appointments and procedures in one location can make treatment less stressful for you, and it may allow you to start treatment sooner. 10. How will you help me balance my cancer care with the demands of my normal life? Your cancer treatment should adapt to your individual needs, and family and professional obligations. Talk to your doctor about your personal needs, so that all aspects of your life are considered when choosing a treatment plan. For more information on getting a second opinion on your treatment contact us on http://www.GrandOpinion.com .